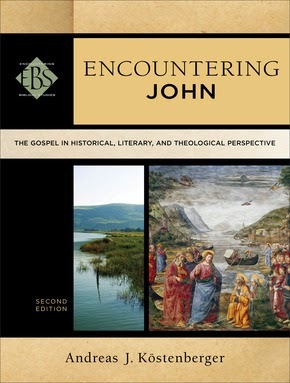 If you are planning to study or teach the Gospel of John you should check out Andreas Köstenberger’s revised edition of Encountering John: The Gospel in Historical, Literary, and Theological Perspective. There is much that could be said about this work but I will limit myself to two points: (1) what I like about it and (2) how this edition compares to the first edition. There is much to like about the volume. For starters, it is user-friendly. Each chapter provides an introductory outline of its contents as well as learning objectives. There are numerous sidebars, tables, diagrams, and illustrations. This work is also well-written with a penchant for making accessible some fairly complex and complicated issues. For the more interested reader there are several good appendices and excurses. Over half of the book consists of a survey through John’s Gospel. This too was well written and I was consistently impressed with the quantity and quality of the material found here. This work is not a commentary per se, but it would provide a nice supplement to exegetical commentaries. Some might wonder how this edition compares to the first edition. As an owner and user of both editions here are some thoughts. There is not much by way of changes in substance. In the preface, Köstenberger notes that the changes in the editions involved mainly “updating scholarly references in the endnotes and the bibliography, as well as going through the entire manuscript carefully and improving minor inaccuracies in style and (in a few cases) substance” (p. xi). That being said there is a relatively slight increase in the page count from 288 to 304. In sum, if you already have the first edition and are less interested in the scholarly works of the last fifteen years then the 2nd edition is not essential. But all things being equal, the modest price of the new edition ($29.99) makes this volume worth getting. Thanks to Baker Academic for the copy used in this unbiased review.